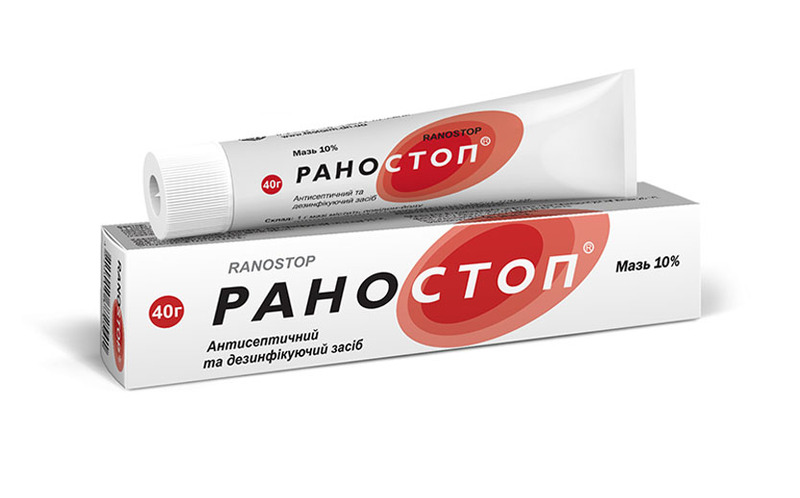 Active ingredient: 1 g of ointment contains povidone-iodine (equivalent to 10 mg / g active iodine free) 100 mg. Excipients: polyethylene glycols (macrogol) proхanol, sodium phosphate dodecahydrat, purified water. Ointment. 20 and 40 g tubes. Prevent infection in minor cuts and grazes, small burns and minor surgical procedures. Treatment of fungal and bacterial skin infections, and infected pressure ulcers and venous ulcers. The drug product for topical application. For the treatment of infections: Apply 1-2 times a day. Duration of treatment - no more than 14 days. To prevent infection: Apply 1-2 times a week until needed. Affected skin should be clean and dry. Apply a thin layer of ointment to the affected skin surface. In the treated skin can apply a bandage.